The German Armed Forces, Bundeswehr, have decided against buying Lockheed Martin's F-35 stealth combat aircraft, capable of performing both ground-attacks and air missions, Reuters reports, citing officials from the country’s Defence Ministry. According to recent reports, it will now choose between US-based Boeing’s F/A-18 jets or Eurofighters, produced by French giant Airbus. It has also been announced that, apart from Tornados, which entered service in the German Air Force in 1983, its 33 oldest Eurofighters are to be replaced by modern jets. This could give Airbus orders worth as much as $3.4 billion, Reuters’ sources say. According to the German business daily Handelsblatt, the country's government wants to stick to NATO's nuclear weapon obligations despite plans to replace the Tornado jets that now fulfill these functions. The air force has stationed about 45 Tornado planes, designed to carry American nuclear bombs in the event of a crisis, at a key air base in Büchel, while the country’s other aircraft are incapable of fulfilling such tasks. The US-made F-18 has already been certified for these missions. Besides this, they have the other characteristics, NATO outlines for its member states’ air forces, namely the ability to locate and combat an enemy’s anti-aircraft radars, which is yet to be developed in the Eurofighter jets. Handelsblatt also points out that the question remains if the US would actually certify a European aircraft such as the Eurofighter to carry their nuclear bombs taking into account the current political climate. However, an Airbus spokesman has stated that the Eurofighter, like the one used in the UK army, can take over all the tasks now fulfilled by the Tornado jets. The German Defence Ministry is now evaluating the offers from Boeing and Airbus, taking their jets’ operational abilities as well as economy and timeline terms into account, according to Reuters. 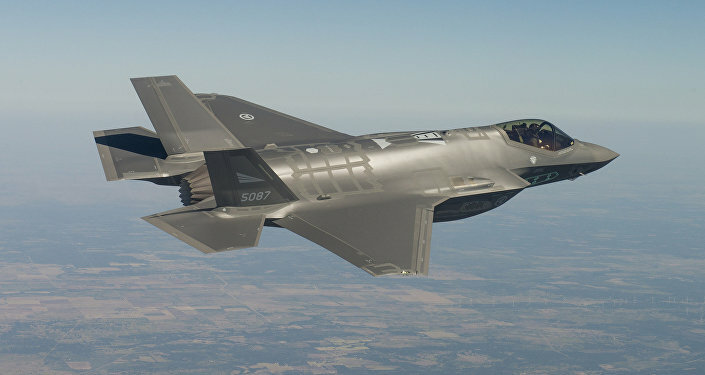 While Airbus has welcomed the reports, Lockheed Martin stated that it has not received any notifications from the country’s authorities, however pointing to the F-35’s capabilities, which exceed other competitors. Both Boeing and the US mission in Germany have declined to comment. The Bundeswehr, which now has 85 Tornado jets, has operated them for 35 years. Additionally, the Luftwaffe has 143 Eurofighters, including 33 jets from the first delivery. Although military officials have insisted on their urgent replacement as Germany could have to spend 8 billion euros to keep them in the air past 2030, the decision about the purchase has not been made public yet. Both Angela Merkel’s junior coalition partners, the Social Democrats, and Germany’s key European ally France have warned against purchasing the US jets. The latter insisted that it would affect the development of a next generation fighter jet, Germany and France are working on. It is expected to enter into service by 2040. Both US President Donald Trump and NATO chief Jens Stoltenberg have called on allies in the bloc to raise their defence spending, following an agreement between member states in 2014 to spend two percent of GDP on their militaries. Although Germany is raising their military expenditures, it still does not meet NATO's target, prompting repeated criticism from Donald Trump. Meanwhile, other countries have answered the call. The Netherlands announced on December it will increase its defence spending in the coming year to purchase of 15 more advanced fighter jets as well as to boost its Special Forces and cyber capabilities. In contrast to Germany, they opted for F-35A fighters that cost $89.2 million each, made by Lockheed Martin. In October 2018, Belgium announced plans to purchase Lockheed Martin’s F-35 stealth jets to replace its fleet of F-16s in a 4 billion euro ($4.55 billion) deal, which was criticised by European aerospace manufacturers Airbus and Dassault Aviation.